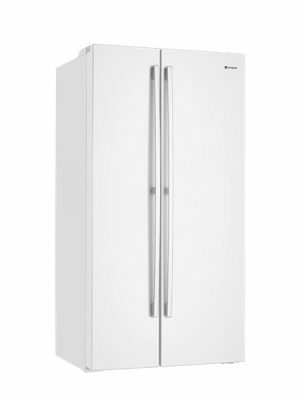 Buying a new fridge, and considering a side-by-side model? Here are 5 great reasons to include a side-by-side refrigerator in your home. 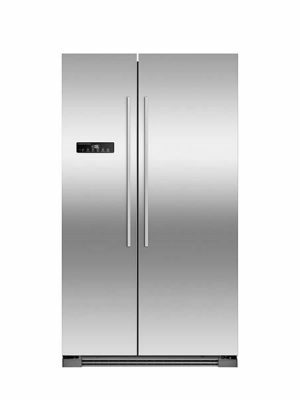 Choosing a new refrigerator for your home is exciting and fun. You can download and bring the guide with you down to help you choose the side by side fridge. Side-by-side fridges are generally pretty big, which means you can store more than enough fresh and frozen food for your whole family. Generally side-by-side model capacities start at around 500L and can go up to above 800L. In general, anything above 500L should be enough for a household with 4 adults. The family fridge is a constant hub of activity, and as a result the doors are opened and closed on a regular basis. Intelligent temperature control is a great feature to look for in your side-by-side, as it will regulate the temperature of your fridge to remain constant, no matter how many times the doors open and shut. 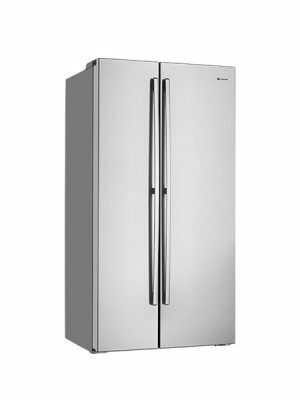 Newer models of the side-by-side refrigerator include a convenient and energy-saving door-in-door feature. A smaller door is set into the outside of the main door of the fridge, allowing access to the compartment without having to open the main fridge door. This compartment is great for storing drinks, condiments, and other often-used items – it means that you can access these regularly without constantly opening the whole fridge, meaning you save on time and energy. 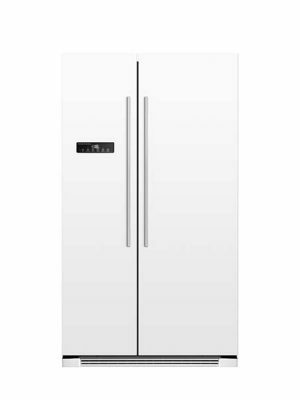 Continuing to look at new technology, some brand new models on the market can be a fridge or a freezer. This means that you get to choose which parts of the fridge are refrigerated and which parts are frozen, according to your current needs. If you tend to eat more fresh food and drink, you can choose to have the majority of the space refrigerated, with only a small freezer space. Alternatively if you like to cook in bulk and freeze meals, you can choose to have more freezer space. Adjustable and spill proof shelving are important features of a side-by-side fridge. Adjustable shelving allows you to reconfigure your refrigerator space to accommodate tall or big items, such as a leftover roast, juice or milk cartons, or a water jug. You can also choose shelves that have spill proofing – these will save you time and energy in the case of a spill in your fridge, as most can stop up to 1 litre of spillage from flowing to the lower shelves. Some side-by-side models offer a very convenient water and ice dispenser set into the outside of the fridge door. This is great if you want a nice cold glass of water without having to even open the fridge! Water and ice dispensers are a great addition to your side-by-side, but do keep in mind that they need to be installed by a licenced plumber. Most side-by-side models will feature electronic, easy-to-use temperature controls, allowing you to set the temperature of your fridge with precision. The more advanced models will allow you to set different temperatures for different areas of the fridge. This will come in handy if you’d like to store meat or other perishables in a compartment and keep them fresher for longer. Some side-by-sides even offer a ‘drinks chill’ options to quickly cool drinks down to their ideal serving temperature, or a ‘turbo freeze’ option on the freezer side to rapidly freeze food. The humidity levels in your fridge affect the freshness of your fruits and vegetables. Most refrigerators have a crisper bin to prevent these from drying out, but more advanced fridges will allow you to select the humidity levels to best suit the type of fresh food you’re storing. For example, leafy greens need high humidity to stop them from wilting; however pumpkin and onion are best suited to lower humidity levels. There you have it – side-by-side fridges have many great features for you to take advantage of. 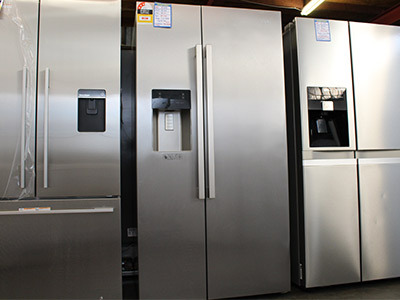 If you’re thinking of purchasing a side-by-side, or want to talk it over with an expert, visit the friendly staff at Brisbane Whitegoods Factory Outlet today.